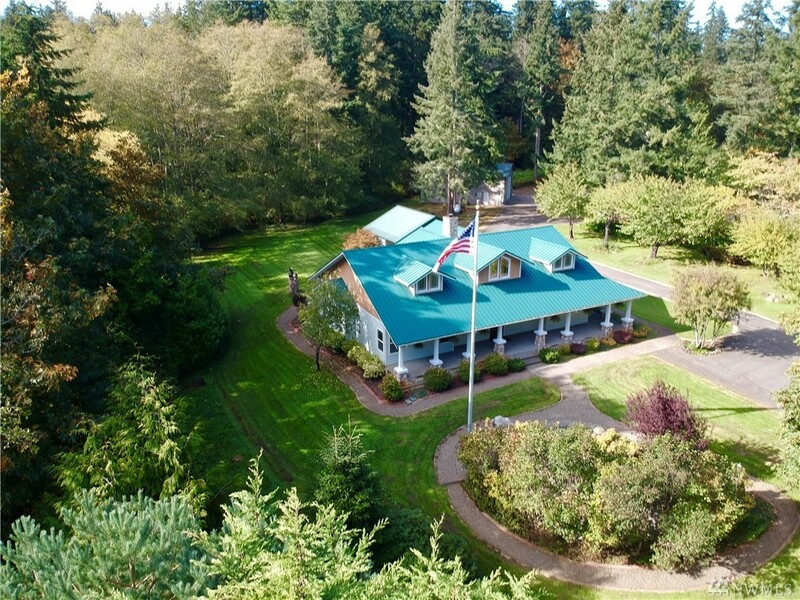 Remarkable shy 4 acre property. Flat and groomed with fruit trees. Maple and evergreens surround the private grounds. Gorgeous and well appointed home with high ceilings, beautiful laminate flooring and wrap-around porch. Automatic Generator. Huge shop w/bay large enough for motor home or fishing vessel, additional shop/office areas and a balcony. Woodshed/greenhouse and utility building. Paved drive to all structures and a wonderfully whimsical water feature and flagpole. Spectacular location!